Unsurprisingly the new year got off to a quiet start after Christmas promotion brouhaha. Fear not though devotees of live dealer games. Rested assured it’s just a temporary interlude as the various casinos and platforms gear up for another frenetic year full of new games, tables and headline grabbing surprises. 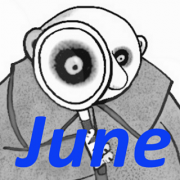 In the meantime here’s a handful of leftover December and January findings to tide you over without going cold turkey post festive excesses. It’s just over a month since William Hill’s third generation new Vegas tables opened at Evolution. Unfortunately I can’t say I’m especially enamoured with them. Sure they look nice enough, although the dedicated area looks arguably too much like Hill’s recently launched classic range except for the addition of neon table trim. No doubt William Hill were aiming for a more unified look across the table areas. In which case I would have preferred the Vegas dealers to have the same uniform as the classic tables (no not the ghastly/ghostly white blouses). The see through panel and red detail doesn’t look so classy on the Vegas dresses in my opinion. Perhaps a blue corset to replace the old gold ones would have felt more Viva Las Vegas 😕 . Attire issues aside, somewhat more disappointingly for yours truly, chat rules for dealers have been relaxed at the tables. I say relaxed because initially when the new Vegas opened dealers were operating under new instructions not to converse cross table between themselves. That’s already changed though with dealers now simply instructed to remain professional and focused on players. Okay, so that seems on the face of it not so bad as the previous Vegas environment where dealers were instructed to engage in cross table chat to make the area more lively. In reality dealers have quickly slipped into old ways of chatting with colleagues while dealing and so on. It’s more of an issue with male dealers starting conversations rather than with the recent influx of new Vegas personnel, but it seems an inevitable outcome that’s bound to escalate if allowed to continue unchecked. Something also on an alarming rise is the amount of cross-selling that the Vegas dealer are now required to do. Dealers eager to fulfil new obligations are talking-up sports events and have you ever tried betting on turtle racing or whatever other spiel. No doubt some players may find it interesting but I don’t want to listen to it William Hill thanks. One thing’s for certain though, the minute Hill hierarchy start interferring to the extent of giving dealers vacuous chat topics such as “have you ever toilet papered somebody’s house? ” – I’m gone! The new Vegas roulette table is a Speed format table like its predecessor. But this time the wheel features inbuilt colour changing lighting for greater visual effect. I’m still of the mindset that a seated dealer looks too prosaic for a table called SPEED. Until the dealer shifts off their backside and gets active it will always be QUICKER LOUNGE ROULETTE in my mind 😀 . It feels almost every time I pay Evolution’s CLASSIC (not to be confused with William Hill’s) range of tables a visit a couple more blackjack have been sneaked in while my back was turned. At the time of writing there are now 32 of these so called tables at an increasing number of Evolution licensee casinos including Mr Green and BetVictor. The latest tables to be rolled out in the Georgia studio flaunting yet another makeover from the predominantly blue styling of the original tables launched back in 2017. If you’ve read many of my previous musings I feel your pain, nevertheless you should also be aware of my unbroken admiration for local language tables from Evolution Gaming. Specifically the table background aesthetics and variety thereon. However it goes more than the sheer number and looking in a different league to rival platforms minimal, bland table selection. It’s about having native dealers from a different culture, rather than dealers trained to speak the lingo in a limited fashion and everything that follows. Indeed, even if you don’t speak the specific language and are just there because luck was against you on other roulette tables the Evolution dealers will often speak English at less busy periods. One of the latest tables to receive an overdue makeover in the Malta studio is Evolution’s Greek language roulette table. And quite a transformation it is indeed from the old stripey wall to Grecian vista. Plus a fetching new goddess dress dealer uniform to complement the backdrop setting. If you fancy a flavour of Greece the table is accessible at at GVC Holdings casino brands including Bwin, Party Casino and Sportingbet. Alternatively how about experimenting with a new language for 2019 such as Portuguese. It’s being spoken at Brazilian tables from Evolution. 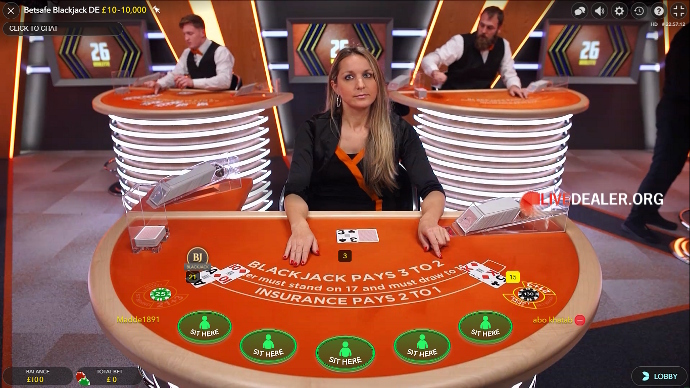 Both roulette and blackjack tables are now available. ….just you wait until you come across Karla LD. Oh, boy! can she talk when nobody’s playing blackjack. 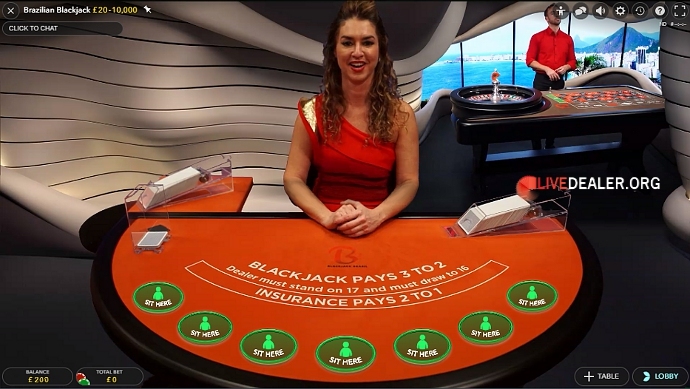 The Copacabana Beach backdrop tables are similarly playable at Bwin, Party Casino,Sportingbet plus Foxy Casino. Whilst exclusive private tables are still a rarity for many casinos not blessed with Evolution Gaming live dealer games. Having at least one private table could be considered the de facto benchmark test of any self-respecting Evolution powered casino you’re considering joining. Over the years I’ve come across numerous such tables at Evolution. The weird, the wonderful, and the little known hidden away up several flights of studio stairs where you thought the cards were more likely to turn to dust before the shoe got changed. 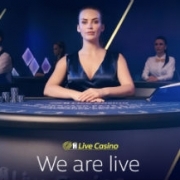 Recently I’ve been playing at a couple of new such tables from casinos featured here at Livedealer.org. 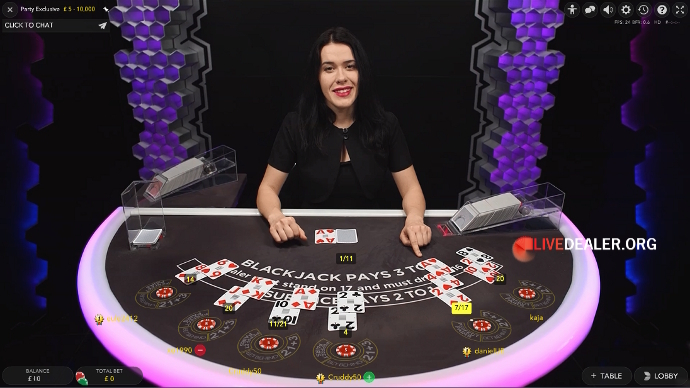 Party Casino have a very modernistic looking new semi-exclusive blackjack table (minus casino branding) in the Latvia studio. I’ve always preferred single private tables to be positioned alone in camera view like this. 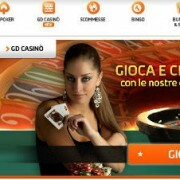 Rather than among an array of generic tables and other casinos. It makes the table feel more select. Of course, because of space constraints that’s not a realistic option for casinos having multiple private tables. Despite going by the moniker Party Exclusive in the casino(s) lobby it’s no longer quite so exclusive now that it can also be found at Bwin. Still a nice table to play at albeit with less free seats than previously. Betsson Group casino brands have had single and then shared private/exclusive table areas at Evolution for many years. Enhancing that long timeline is the addition of private local language tables. One such table is the German blackjack (DE) table available to Betsafe casino players. 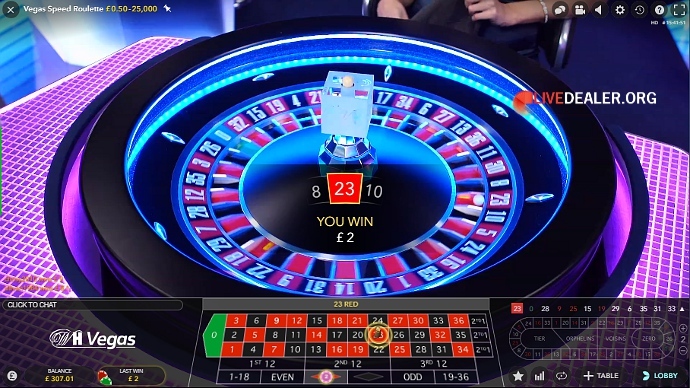 I first came across a new roulette table from Virgin Games earlier in 2018. Although it wasn’t until around Christmas that I went back for a proper tryout. 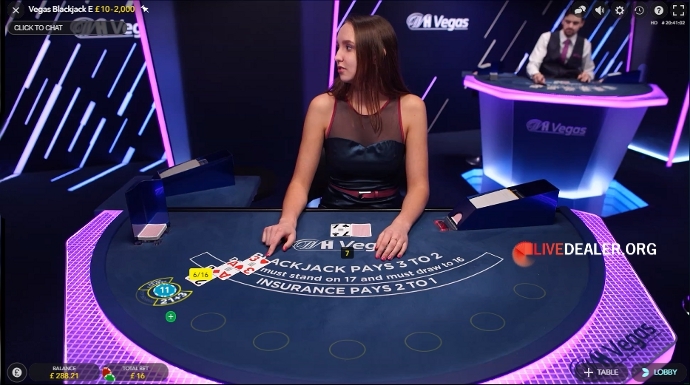 At first observation it simply appeared like another of those game show style of roulette, except more uniquely with two game presenters à la Party format. But it’s more than just that. 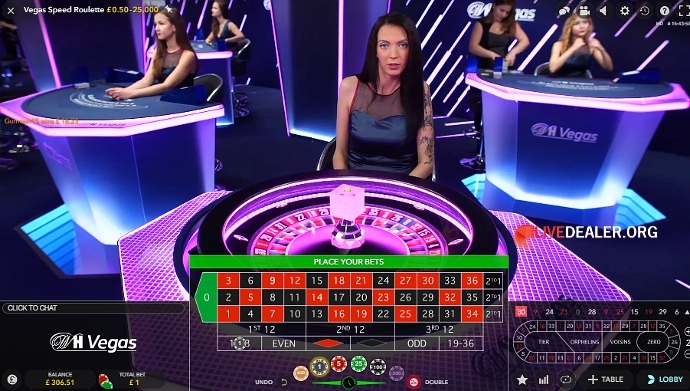 Think of all the online studio based roulette tables you’ve ever experienced, mash them all together and you’ve basically got Signature Roulette. 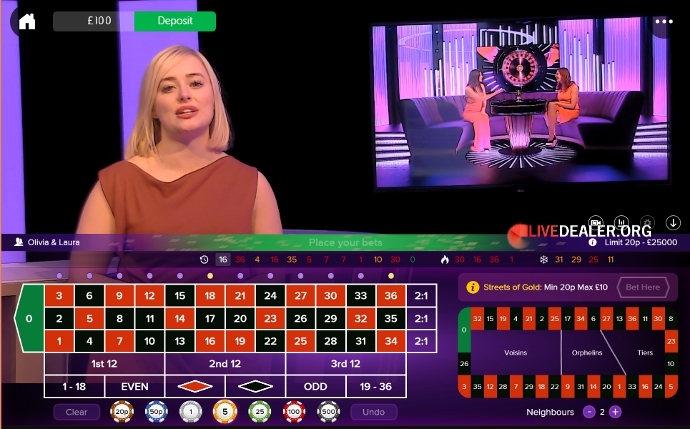 It’s European Roulette with all the standard bets and normal payouts plus a couple of extra incentives….and no I’m not referring to a pair of female presenters 😛 . 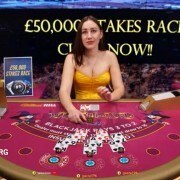 The table features a Streets of Gold side bet where you can win up to 500x your bet. The side bet accumulates over a number of rounds as more streets are lit (landed on). The side bet game ending when a number is spun on a street that’s already lit. The quoted Return to Player (RTP) for the side bet being a very respectable 98.47%. The table also comes with the La Partage (half back/French roulette) rule where you receive half your stake back on even money bets if the ball lands on zero. 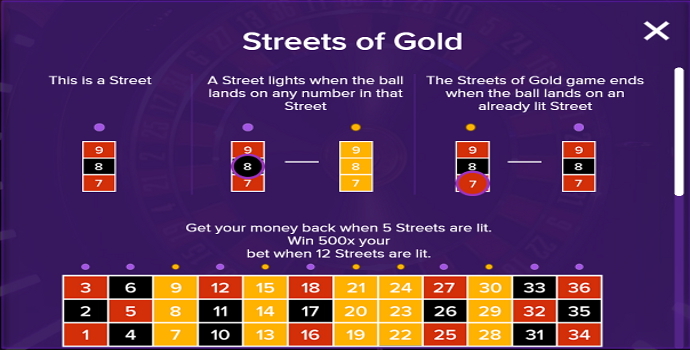 Surprisingly the Streets of Gold doesn’t terminate on a zero result like you might expect as a typical casino ruse to part you with potential side bet winnings. There’s a chat facility to join in the conversation. 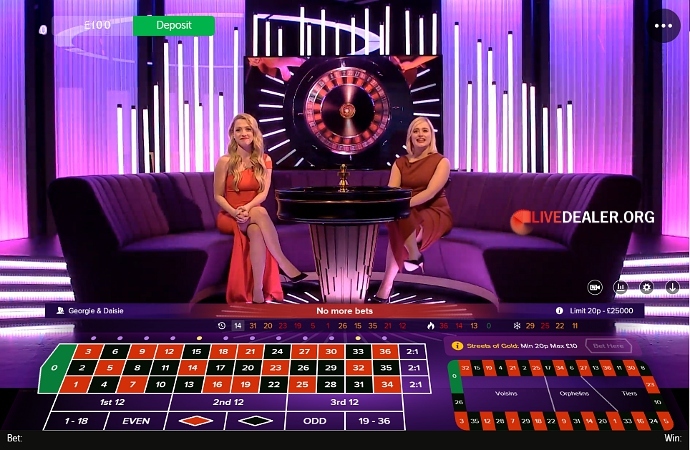 Being Virgin casino the chat between presenters is very British in nature. On one occasional they were having a good old natter about a broken washing machine and the ensuing chaos. As a sign of the times it’s a multiple camera setup with close up angles of the presenters and wheel. Additionally, for 15 mins of every hour several times a day you have the option of another live presenter not currently at the wheel (Backstage Access). 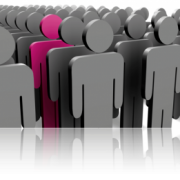 Principally it’s geared towards explaining the game of roulette, terminology and bet patterns to new players. It’s a nice clever touch without making all players listen to it all for the umpteenth time each hour like happens on regular game show style roulette presentations made for TV and online. 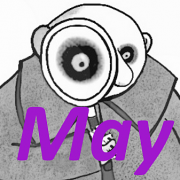 The table is open every day from 2pm-2am UK time.